On Tuesday 27th June the Society will visit Elton Hall in Cambridgeshire, the ancestral home of the Proby family since 1660. In addition to the wonderful collection of Sèvres porcelain, the house contains fine French furniture, a magnificent collection of paintings and one of the best libraries in private hands. Elton Hall is a baronial hall in Cambridgeshire and the home of Sir William and Lady Proby. It has been the ancestral home of the Proby family since 1660. Sir Peter Proby acquired land at Elton when he bought a lease of the Manor for the sum of £850 in 1595. His grandson, Sir Thomas Proby, married a local heiress, Frances Cotton, and was created a baronet in 1662. They acquired the site of the Hall and built a fine Restoration house between 1665-1668, which incorporated the medieval chapel and gatehouse of the original Manor House. In the 18th century John Proby married an Irish heiress, Elizabeth Allen. His son, the Earl of Carysfort, an Envoy to the Court of Berlin and served as a Minister under Lord Grenville in 1806, was an inveterate builder and Gothicised the house, giving it dramatic appeal. Sympathetic additions and alterations to the house took place between 1855 and 1860, masterminded by Henry Ashton, a pupil of Wyatville, who also worked for the Dutch Royal Family. 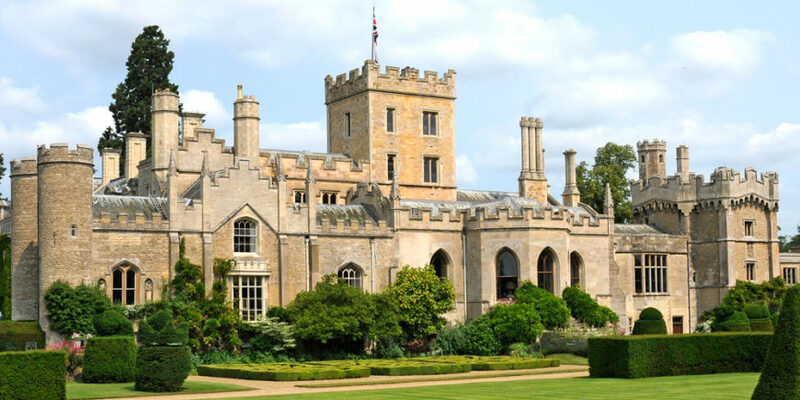 As a result Elton Hall is an enchanting combination of the Gothic and classical architectural styles. The collection is an amalgam of two houses, as the contents of Glenart Castle, the Irish seat of the Carysforts, were brought over in the early 1920s. It contains superb treasures, including fine French furniture, one of the best libraries in private hands and a magnificent collection of paintings. There is also an unpublished collection of Sèvres porcelain and other ceramics displayed throughout the house. Lady Proby will be our guide in the house, and there will be an opportunity to study the French porcelain. This will be followed by lunch in the Billiard Room. After lunch, we will tour on our own the Victorian gardens skilfully restored, which contain a knot garden, a new rose and herbaceous garden, fine hedges and a gothic orangery built to celebrate the Millennium. Departure is at 8:30 am from the Rembrandt Hotel, 11 Thurloe Pl, London, SW7 2RS (South Kensington tube), directly across from the Victoria and Albert Museum.